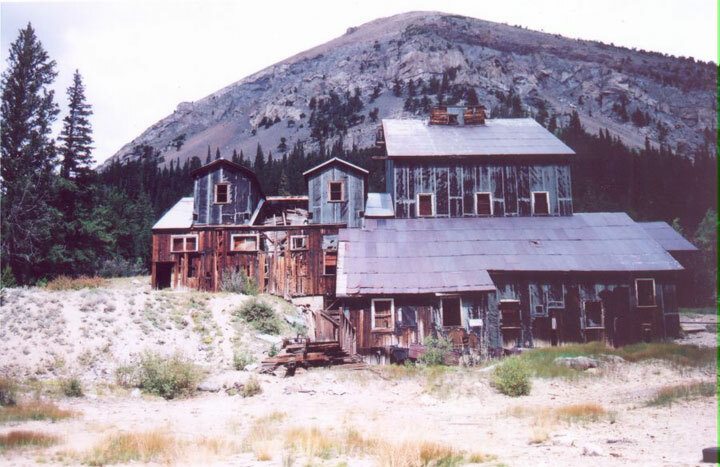 Once an important site for processing precious metals from mines in Park County’s Buckskin Gulch, the Paris Mill is now abandoned, despite the fact that the nearby Sweet Home Mine is currently producing rhodochrosite, a rose- colored gemstone and the official Colorado state mineral. Subject of many an artist’s brush, the now languishing Paris Mill was constructed in 1894 at an elevation of 11,003 feet. The mill was connected to the mine with a 1,750 foot aerial tramway. The mill’s original steam engine drove a leather-belt drive shaft to power equipment throughout the mill; it was converted to a steam-electric operation after the turn of the century. In its prime, the Paris Mill was considered one of the richest strikes in the Alma District, producing gold, silver, and lead for decades. Time and unstable metal prices finally forced the closure of the mine and mill in 1951. The building is a Local Landmark of Park County and considered eligible for the National Register of Historic Places. One of the unique aspects of the mill is that is still retains much of its original machinery including three different stamps, which were used for crushing and grinding ore and are representative of several generations and methodologies. At the instigation of CPI, representatives of the out-of-state owner came to Colorado in the summer of 2004 to talk with supporters about their vision for the site. 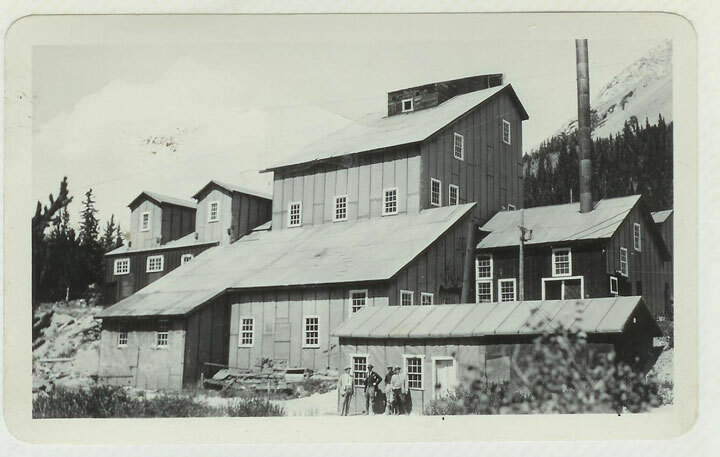 The owner brought a sampling of the extensive archive connected to the Paris Mine and Mill and agreed to allow Park County to document the entire archive. Shortly after the meeting, the owner paid to have the mill sealed to protect the interior from the elements. An on-site security system was installed. Park County completed local landmark designation for the site and recently purchased the Mill and surrounding 16 acres, with immediate plans to stabilize and document the building towards the long term goal of opening Paris Mill to the public. The county has performed over $300,000 in voluntary site cleanup and funded the preservation of a Historic Structure Assessment on the property. In the last few years the county has performed roof repairs, hosted two community work days, nominated the building to the National Register of Historic Places, and temporarily stabilized a number of structural issues. Public comment on the future use of the Paris Mill has been solicited and the overwhelming response has been to preserve the mill and open it for public tours. The rehabilitation project has begun at the mill, the cyanidation wing is now complete and work on the gold precipitation wing will begin this summer. The South Park National Heritage Area is funding the master plan.